'Serenity' designed by San Diego-based Wallace Cunningham, Inc. 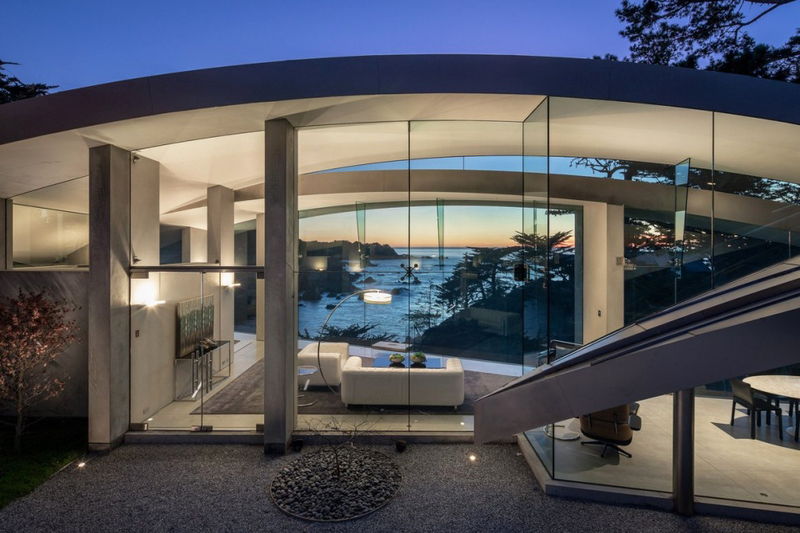 Spectacular modern architecture and breathtaking vistas are all there is to offer in two sumptuous homes currently for sale respectively in Carmel and Napa. Each is a beauty to behold. 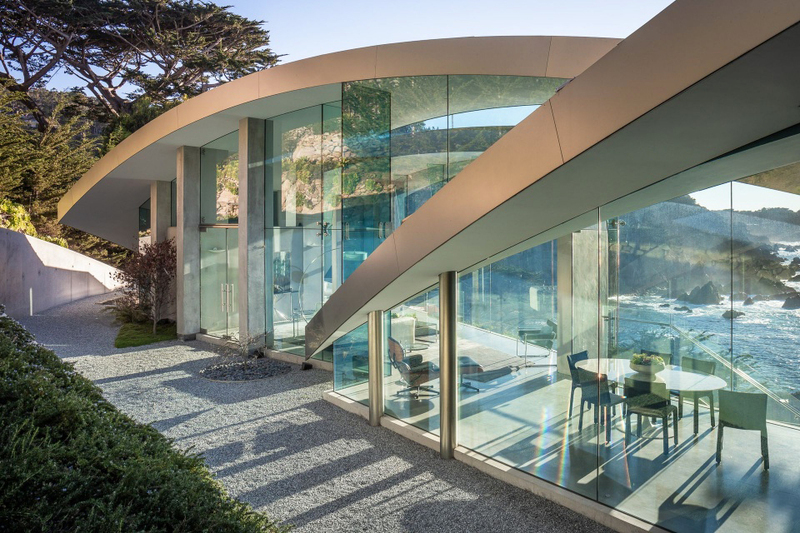 The architecture comes from two of California's most awarded, cutting-edge design firms, the scenery courtesy of Neptune the sea god and Mother Nature. Attention, bargain shoppers: 'Serenity' has undergone two price reductions in 20 months on the market. This glorious 3-bed, 3.5-bath dwelling at 243 Highway 1 was originally designed for an owner who died before she could move in and was first listed for sale by her estate and Sotheby's International Realty in 2017 for $11.9 million. It was subsequently cut to $10.2 million and is now offered by Carmel Realty Co. for the 'bargain basement' price of $9.7 million. For that you get soaring, elliptical arches of glass, wood, and steel in the Lautner tradition along with the dramatic, perpetually changing waves and rock formations of Wildcat Cove. 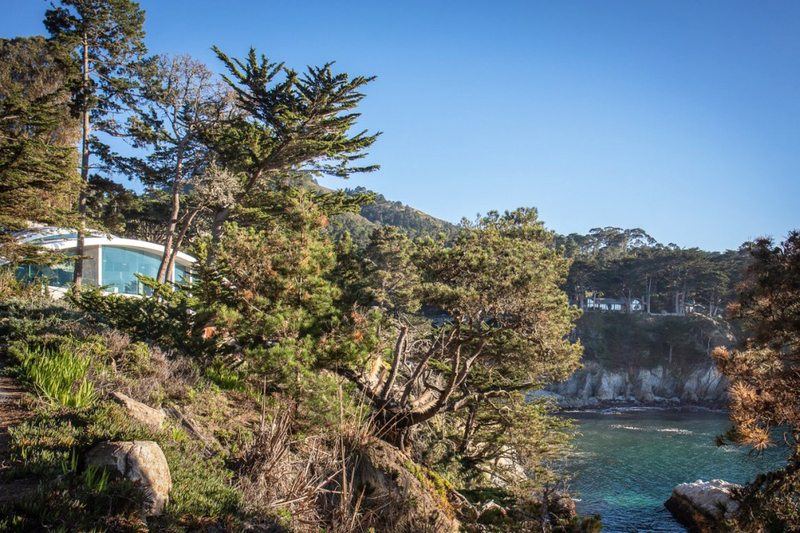 The house, built by general contractor Doug Borregard, is a lovely four-mile coastal drive from the town of Carmel. 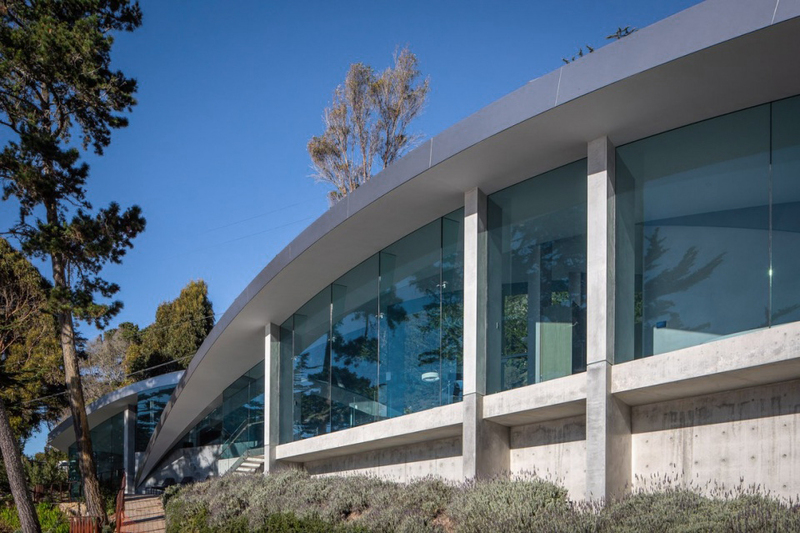 Cunningham's website reveals the prevailing design philosophy that resulted in such a stunning structure, which is listed at 2,667 square feet on a two-thirds-acre lot. "The environment is a primary source of inspiration and a driving force as well," states Cunningham on the website. "Nature is not static, nor should be the efforts of man…Open up a structure to sky, landscape, and view, and the building comes alive."